What is Silver Filled Jewellery? The simplest way of explaining the definition of Silver Filled Jewellery is to first explain the definition of Gold Filled. Gold Filled (alternatively known as 'Rolled Gold') is basically a base metal with a solid layer of Gold bonded to its surface. The gold content in the component is 1/20th by weight of 12 karat gold. Gold fill items do not tarnish and offer a much cheaper option to 9ct.Gold. Gold Filled items have a 50,000 to 100,000 times thicker layer of Gold than normal Gold Plated items giving most Gold Filled Jewellery the same look and feel as 14 Karat Gold jewellery. Gold Filled was mainly created to reduce the costs for Jewellery without sacrificing the perceived value or beauty and to still retain the durability and long term wear. So, as with Gold - the necessity for a cheaper alternative with the same perceived qualities arose for Sterling Silver due to its ever increasing price. Silver Filled was created to bridge the gap between Sterling Silver and Silver Plated. It is created in the same way as Gold Filled - A solid layer of Sterling Silver bonded to the surface of a base metal. This layer, as with the Gold Filled is hundreds of times thicker then Silver Plating. 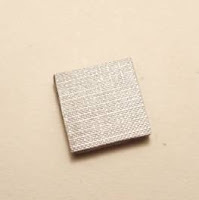 Silver Filled jewellery is mainly found in two qualities, one will have at least 1/20 (5%) Sterling Silver by weight and the other will have 1/10 (10%) Sterling Silver by weight of the item. International Craft carry the thicker coating 1/10 Silver Filled components. The thicker coating of .925 silver better serves making quality jewellery. Silver Filled wire has almost the same properties as Sterling Silver and is as easy to manipulate and does not flake or chip as with Silver Plated. As mentioned earlier, Sterling Silver prices have risen to record highs, so for most jewellery designers this has caused enormous problems with the value of their designs and are now opting for Silver Fillled Findings because they looks just like Sterling Silver Findings and are a fraction of the cost ( 25 - 50% cheaper ) giving their designs a higher perceived value. 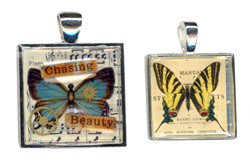 PaperStreet Supplies carries a large supply of printable images for use in altered art photo charms, bottle cap pendants, scrabble tile charms, domino pendants, magnets, pocket mirrors, pin-back buttons and more. With instant downloads you can start your mixed media or altered art project immediately! Digital collage sheets contain printable, royalty free source images for use by artists,crafters & pendant makers, packaged neatly together into in digital file which can bedownloaded & printed over & over again. The digital images can also be manipulated using most photo editing programs (ie, Adobe Photoshop or the freeware Paint.NET). 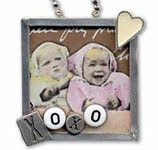 PaperStreet's images are also great for collage, assemblage, scrapbooking, decoupage, and many other crafting projects. Collage sheets are available as a high resolution JPEG files types. Download links are activated upon payment review (usually just seconds). Downloads are very reasonable and look out for their 'Buy 3 get one free' coupons which are always available on their website. Print and cut out these images for use in pendant blanks to create personalised pendants, charm bracelets and rings. Seal pictures in with either Glass cabochons or Glossy Accents glaze. Tip: If you want to use the 1" (25mm) images with our 20mm Pendant settings , then all you need to do is the following: When printing click into 'Printing preferences'. Then Select 'Effects'. Now change the "% of normal size" to 80 and print. This will reduce the 25mm images to 20mm. Use our Pendant Settings with our Domed Glass Cabochons for a professional finish. As you can see from the bracelet on the right we have used the 16mm base pendant settings as photo charms on a large link charm bracelet . We used the 1" circle Butterfly sheet from Paperstreet for a nice vintage theme. All you really need here is our Hypo Cement Glue to first glue the picture to the pendant setting then once set apply a thin even coating of the glue to the surface of the photo, please be aware that the glue will set very quickly so you will need to put the cabochon in place as soon as you have applied it. Once the cabochon is in place you will need to apply some pressure for about 30 seconds to remove any air bubbles. Hypo cement will dry crystal clear enhancing your photo/image. 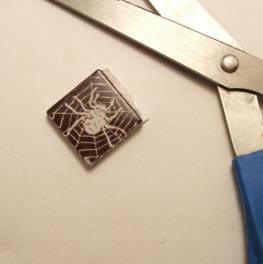 TIP - We marked around the edge of the glass cabochon on the image/photo to get the correct shape and size and cut along it. Another great option is to use the Pendant settings with 'Glossy Accents™' instead of the glass cabochons. This fantastic product will allow you to let your imagination run wild! 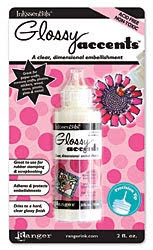 Glossy Accents™ is a clear, three-dimensional gloss medium, which you can use to accent, brighten, dimensionalise and magnify your altered art and photo charm jewellery projects. Place Glossy Accents™ under embellishments to make them stick and on top to protect and glossify! 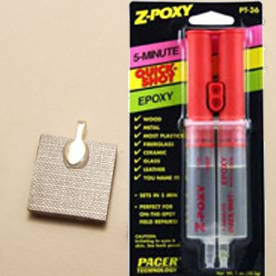 Dries to a hard transparent finish, and also works as a glue. If you want to give your jewellery more vintage look then try Crackle Accents™. We used Glossy Accents in the pendant setting above. We first applied a small amount into the pendant setting and glued the butterfly image into it, then we placed in a couple ofSteampunk Watch parts with words cut out from a newspaper and then simply poured in the Glossy Accents - being careful not to let it spill over the edge and then let it set for a couple of hours - the results were amazing. TIP - sandwich any photos/picture or newspaper clippings in clear sellotape when using with Glossy Accents to prevent the colours from bleeding. Or you can use a sealant like Glue N Seal. Also, using double sided sticky tape we stuck the newspaper clipping to a peices of thin card and cut to size. This added some depth to the clippings making them stand out more. Another great range of products for making photo jewellery and for using Paperstreet supplies printable images is the Ranger Memory Glass and Frames. Layer your work to create the illusion of depth. Start with a background and add layers, distressing the edges with ink to create a shadow look aroung the image of text you are layering. If you don't have a photo editing programme like Photoshop then click here for free download of PAINT.NET photo editing software . Then follow instructions to download and install. Turn your memories into beautiful jewellery. Upcycle gorgeous invitations, photos, brochures, old newspapers, vintage prints or damaged dresses into wearable art. 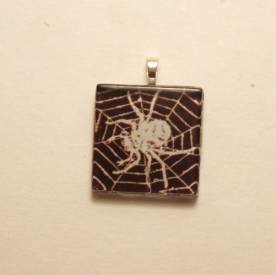 Take your favourite photo or other attractive paper or fabric, cut it out, glue it in a lovely bezel and seal it with a glossy glaze resin or glass cabochon to create lasting, very special jewellery. The possibilities are endless, so we'll try to make it easier for yor with step by step guides and some ideas to help you start. The simplest starting point would probably be to use our Pendant Settings with our Domed Glass Cabochons. As you can see from the bracelet on the left we have used the 16mm base pendant settings as photo charms on a large link charm bracelet . All you really need here is our Hypo Cement Glue to first glue the photo to the pendant setting then once set apply a thin even coating of the glue to the surface of the photo, please be aware that the glue will set very quickly so you will need to put the cabochon in place as soon as you have applied it. Once the cabochon is in place you will need to apply some pressure for about 30 seconds to remove any air bubbles. Hypo cement will dry crystal clear enhancing your photo/image. 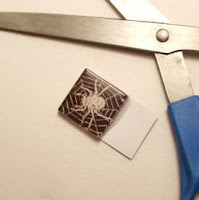 TIP - We marked around the edge of the glass cabochon on the photo to get the correct shape and size and cut along it. We used Glossy Accents in the pendant setting above. We first applied a small amount into the pendant setting and glued the butterfly image into it, then we placed in a couple of Steampunk Watch parts with words cut out from a newspaper and then simply poured in the Glossy Accents - being careful not to let it spill over the edge and then let it set for a couple of hours - the results were amazing. TIP - sandwich any photos/picture or newspaper clippings in clear sellotape when using with Glossy Accents to prevent the colours from bleeding. Also, using double sided sticky tape we stuck the newspaper clipping to a peices of thin card and cut to size. This added some depth to the clippings making them stand out more. 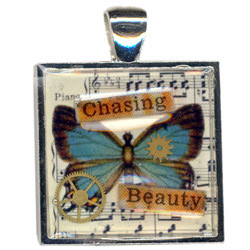 The butterfly picture we used in the pendant was supplied to us by Paperstreet Supplies who carry a large supply of printable images for use in altered art photo charms, bottle cap pendants, scrabble tile charms, domino pendants and more. 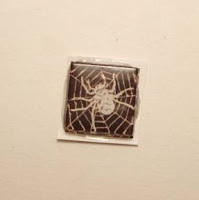 With instant downloads you can start your mixed media or altered art jewellery project immediately! Collage sheets are available as a high resolution JPEG files types. Download links are activated upon payment review on their website (usually just seconds and very reasonable). Click the image banner to the left to be taken to their fantasic site. 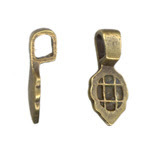 Leaf Mounting Bails are a fantastic way of creating your own unique pendants out of almost anything. Heres a quick tutorial to give you and idea on the Leaf mounting bails uses. Materials needed: Super Epoxy Glue, Hypo Cement, 1x1" Glass Cabochon , 1×1" Image, piece of paper backing, Leaf Mounting Bail , Wide Clear Sellotape and scissors. Step 1: Sandwich the 1x1" image in the clear sellotape and cut off the excess around the edges.This is to prevent the ink from bleeding. Step 2: Apply Hypo Cement to the back of the glass Cabochon. 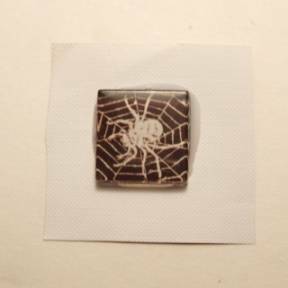 Once the Cabochon is covered flip it over and place it on the image and press down firmly. 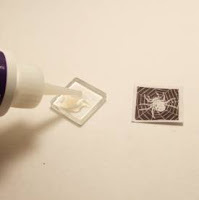 Don’t worry about the glue coming out of the edges. 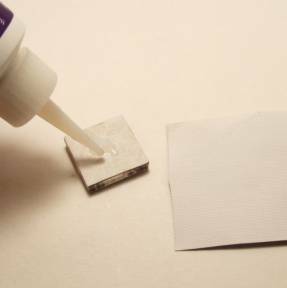 Step 4: Flip the tile over and apply a thin layer of Hypo Cement to the back of the tile. Have your backing ready (placed upside down) Step 5: Once you have the tile covered, flip it over and place it on the backing and allow this to dry. Again, don’t worry about the glaze coming out the sides. Step 8: Put a small dab of Super Epoxy on the inside of the silver bail and glue it onto the backing at the top of the pendant. Let that dry. At this point I usually allow the pieces to dry over night. This is the finished product. Hang them from leather or a chain and enjoy!! Although they are very study they are not waterproof. To keep them looking lovely do not shower, bath or swim with your pendant on. 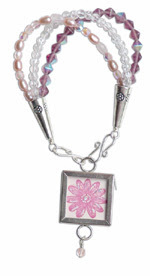 Another great range of products for making photo jewellery is the Ranger Memory Glass and Frames. Try linking together the Memory Frame 1" Squares to create a fantastic bracelet....The one above was created using wedding photos to make it into a cherished keepsake immortalising those great memories.